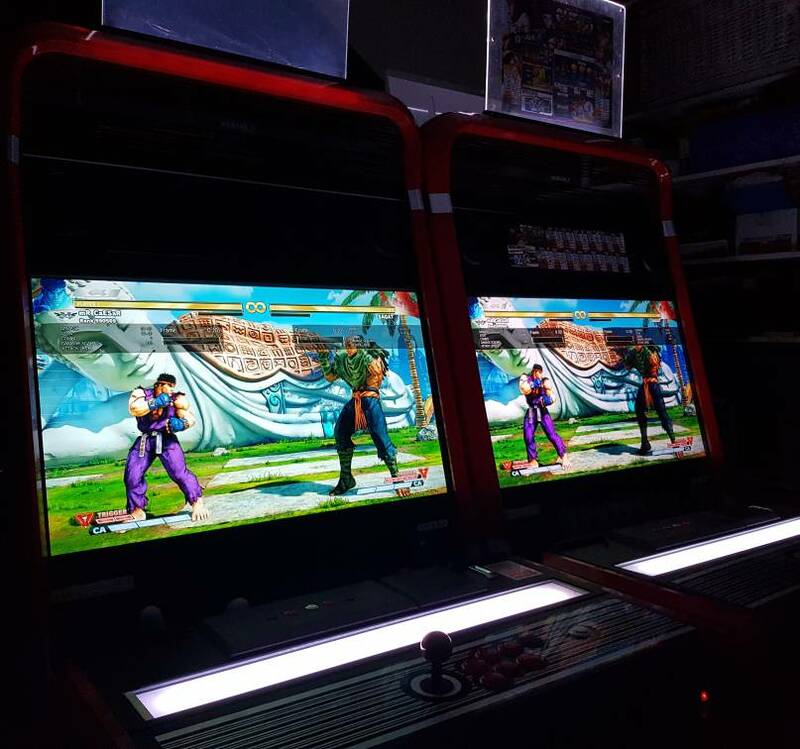 Discussion in 'Retro & Arcade' started by Daft_Munt, Oct 19, 2014. While we're talking about cleaning, I want to express my love for "Simple Green". It's hands down the best plastic and rubber cleaner I've ever come across. I've used it to clean up so many filthy consoles and arcade machines, and it never damages plastics and rubbers like some solvents do. If you don't want to do a full dismantle of a console to scrub the case in the sink, it's bloody great. Especially good on whatever that horrible dust-grime is that collects on controller cables over time. I use the spray bottle stuff direct, and then just a wet cloth to wipe it off. Agree, Simple Green is great stuff. I use it for plastics, along with eucalyptus oil to remove sticker residue and that sort of thing, and finally isopropyl alcohol for cleaning optical discs. Internally I use a variety of PCB cleaning sprays I buy from Jaycar. There's one they have that's great for cleaning flux, busted caps, blown batteries, etc. And for rust, I VERY CAREFULLY use phosphoric acid solutions. That stuff is nasty, but does a great job of halting rust spread. If it's something exterior like a rusted case, then I just go macro. Wire brush attachment on a drill, turps cleanup, zinc cold galvit, re-paint. I'm a hack and just use metho and a toothbrush to clean PCBs, rinsing with tap water. Nothing I work on has serious rust or corrosion issues though, nor is it particularly valuable. Yup, that's the one for post-soldering cleanup, flux cleanup, etc. 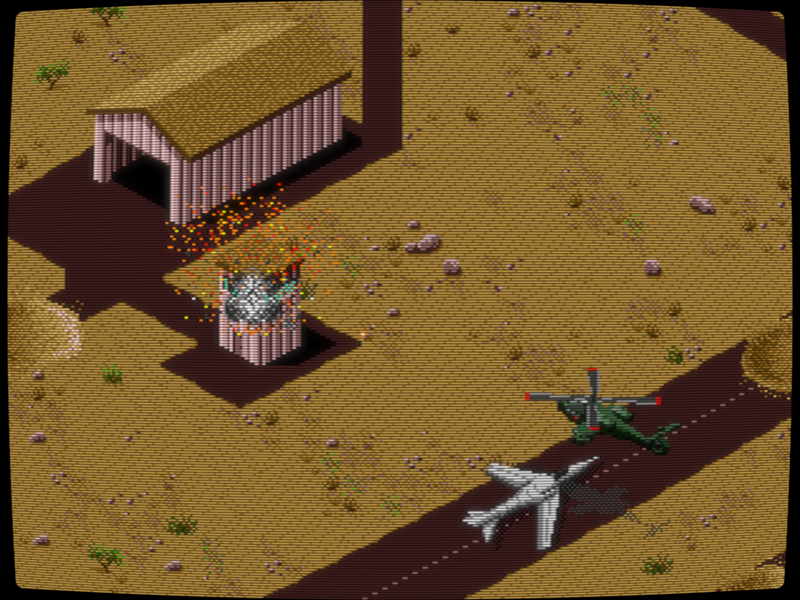 Desert Strike: Return to the Gulf (Genesis version). Good memories, very fun once you get the hang of the controls. Grant, elvis and PsychoticOrc like this. I was, for a while, willing to give AtGames the benefit of the doubt as they'd promised they were working on improving their products. heh, everyone has their breaking point. Not as great as what other people do in the retro threads, but I've spent the last 6 hours doing restoration of Sega Saturn games. 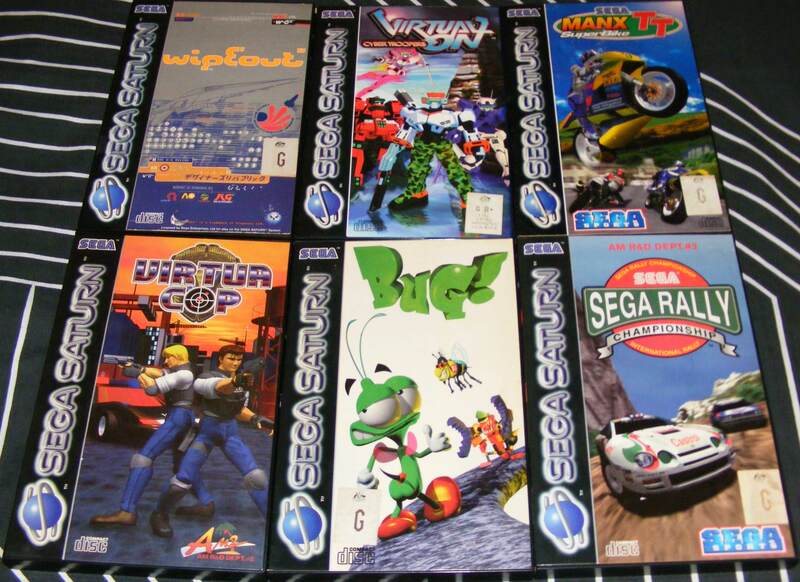 I had to remove all the god awful stickers, sega rally also had residue from where a gametraders sticker was and someone had tried to remove the rating off Virtua Cop. 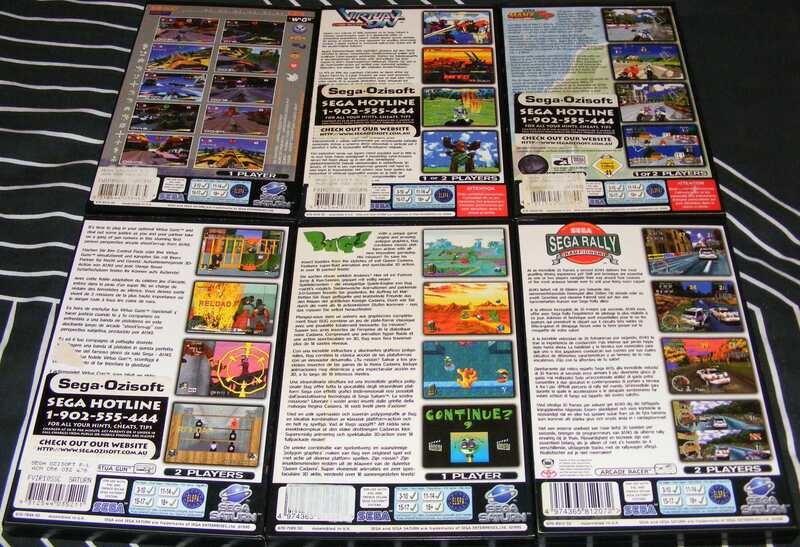 These gametraders stickers were like 10-12 years old and the cash converters ones probably 20+... and the other problem that was affecting the games, the glue had come off all the cases but 1. 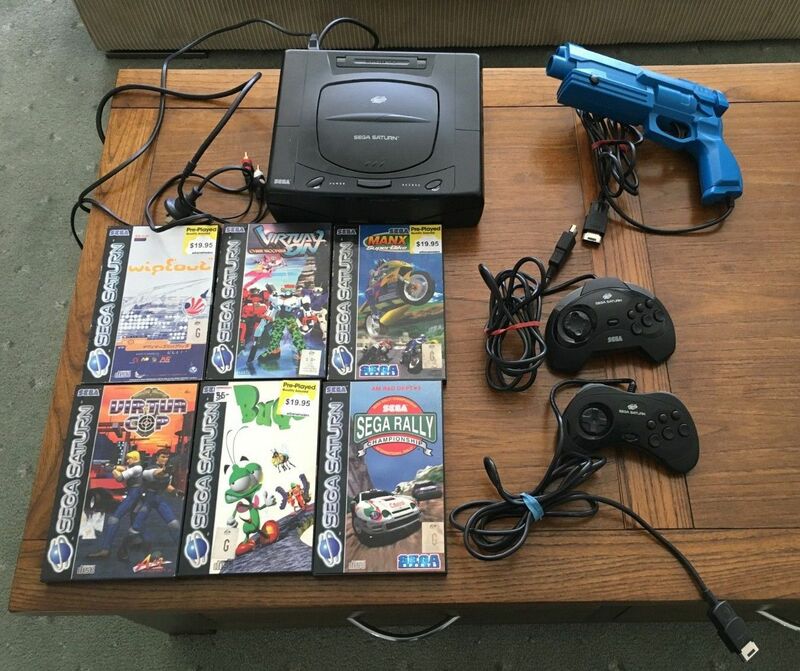 Anyone getting Saturn games will know this pain. Cleaned, labels removed, old glue ripped off covers and cases, reglued and set aside to dry. And now onto the hardware.. Cleaning of cables and Complete overhauls of the controls and lightgun will be easy (Done a few times before) but I don't intend to open the console itself because it's fully working. because it's not harsh enough to eat through the glossy cardboard of the labels themselves, it can be applied by finger, and can be left to soak the stickers off while you move on to the next one. Just have to be careful not to get it under the edges of the cardboard. Preen is also what I use for dreamcast games, because oomph is slightly too strong, and can discolour the plastic if you're not careful. Vanne, elvis, Grant and 1 other person like this. There's one ODE on the market currently, and Prof Abrasive's tool is in the works too. Both are nice ways to resurrect Saturns if the laser assembly has had it. And now I've overhauled the controls, light gun, cleaned the cables AND fixed the joystick on my 3D pad. In the fix of the 3D pad joystick, the dpad squeaks now but joystick is as good as new so I don't really care, I can play nights and daytona properly!! I'll have to work out exactly what it's doing, but when it is picking up the drive, discs all work perfectly.. I think it's the open switch. rather than the drive.. I'll have to pop it open when I'm less tired. I've never opened a Saturn before. (only many, many, many dreamcasts for various reasons) so it'll be fun..
saturn generation pads and the like often squeak (i have a wheel that squeeks) i think they use a grease out of the factory to stop this (THINK). the inside of the saturn is a non event except for the drive tray sensor. may i recommend getting an AR cart and doing a pseudo while you are at it for all your backups needs. On all of the other pads I have (three model 2's and one model 1), after overhaul and no grease, they're all perfect. I think the squeak is the back plate of the pad not holding into the front. I can live with it, but if it ever pisses me off I'll glue the back to the front or something. i have a megadrive pad with a bit of a squeak in it, it's usually only for a small bit after cleaning and then using it for a couple of hours it goes away. maybe you just need to use it. Well now I've fixed the joystick, I doubt I'll be using the dpad too much. so it probably won't bother me. which reminds me, my Saturn stick also squeaks.